Engineered wood flooring is a flooring solution which looks exactly like solid wood flooring but is constructed completely differently. Constructed on a plywood base, the thing which makes engineered wood flooring so appealing is its solid oak lamella or top layer. It is the addition of this solid oak lamella which makes it virtually impossible to tell engineered wood flooring from solid wood. 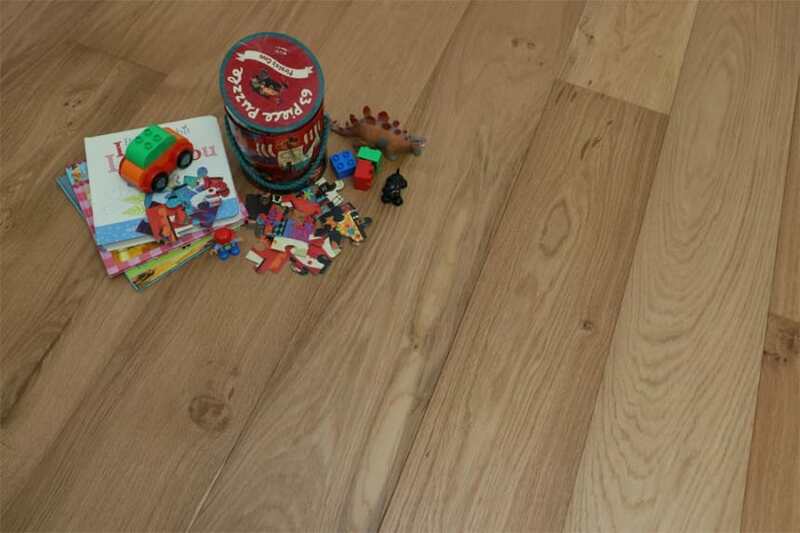 A particularly stable product, engineered wood flooring doesn’t shrink or expand nearly as much as solid wood flooring. What this means is that engineered wood flooring is well suited to any room in the home where moisture and temperature levels might be a bit erratic. 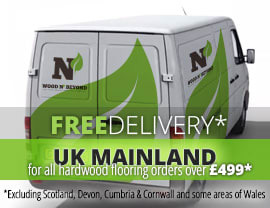 Adapting to various installation methods, engineered wood flooring can even be laid over under floor heating. Natural coloured engineered wood flooring ranges from very light, creamy tones to quite dark, grey-brownish tones. 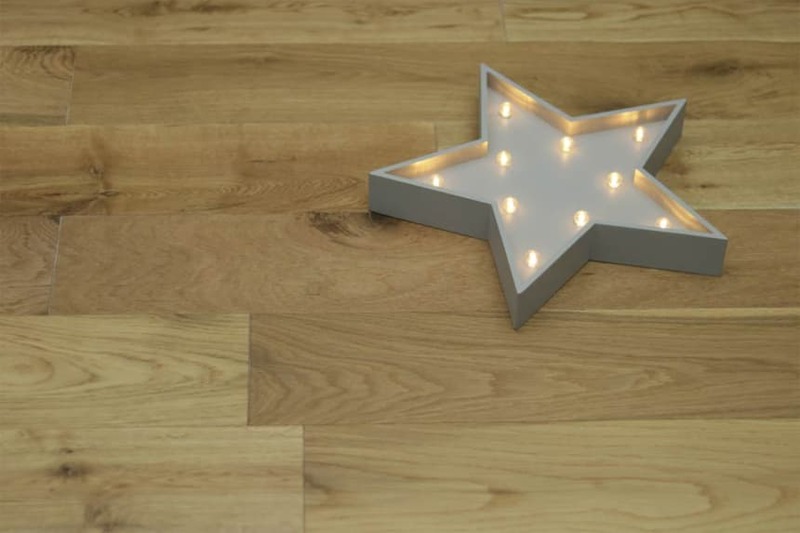 Lending itself in its untouched state to a whole range of interior styles, natural coloured engineered wood flooring can be coloured to suit your requirements. That said, if you’re planning to colour natural coloured engineered wood flooring, it’s important to choose an unfinished product. The great thing about natural coloured engineered wood flooring is that it will adapt to suit your requirements in both the short and the longer term.